Maira Perez Velasquez serves as Educational Services Team Lead, for the Institute for Community Leadership. 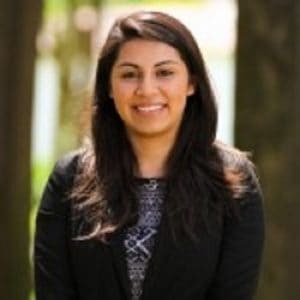 At 20 years of age, Maira is a trained Ethical Leadership Coach, having studied principles of nonviolence and community organizing for the past six years (since the 7th grade). Maira has traveled with the Institute speaking at national education conferences in Washington DC, seven states, and the Yurok and Quinault Indian Nations. She recently led a youth delegation to Memphis, guests of Congresswoman Barbara Lee to the Reopening of the National Civil Rights Museum, and another delegation to Ferguson, Mo. Maira recently presented a paper on Cultural Empowerment and Civic Engagement: Impact on GPA and Community at the University of Puget Sound Race and Pedagogy Conference. Maira is a first generation high school graduate, bilingual, the daughter of a Mexican immigrant family. She is a pre-law scholarship recipient and recent graduate from Mills College.